One of the most popular suffering puritans in his day, who championed the Reformed Gospel over Poppish doctrines. 17. Relation of Mr. Chilingworth. Henry Burton (1579-1648) was a great puritan sufferer for his views of nonconformity. He was born at Birdsall in Yorkshire, 1579, and educated at Cambridge. His first employment, after leaving the university, was that of tutor to the sons of lord Carey, at Leppington. He was afterwards clerk of the closet to prince Henry; and after his death, to prince Charles, whom he was appointed to accompany in his visit to the court of Spain. For his boldness in the truth Bishop Laud continually cited him for his preaching and his written works. In 1626 he was convened before the high commission having published a book entitled, The Baiting of the Pope’s Bull, or the Unmasking of the Mystery of Iniquity, folded up in a most pernicious Bull, lately arrived from Rome, with the design of causing a rent in England, by which his holiness might reenter. This work was wholly directed against the pope. Laud, who spoke with vehemence against it, denounced it a libel. After this Burton published another book, entitled, The Pouring out of the Seven Vials; for which this bloody prelate had him prosecuted in the high commission. Laud had the book suppressed. When Burton published his Babel No Bethel, which was also wholly directed against the church of Rome, bishop Laud ordered his pursuivant to apprehend and commit him to the Fleet; where, contrary to the petition of rights, he refused bail when offered, suspended him from his benefice, and suppressed the publication. This type of dealing with Reformed preachers was not uncommon by Laud. Laud was really a hypocrite, who pretended be a pillar of the reformation from popery. The puritans, however, were not ignorant of his devices. 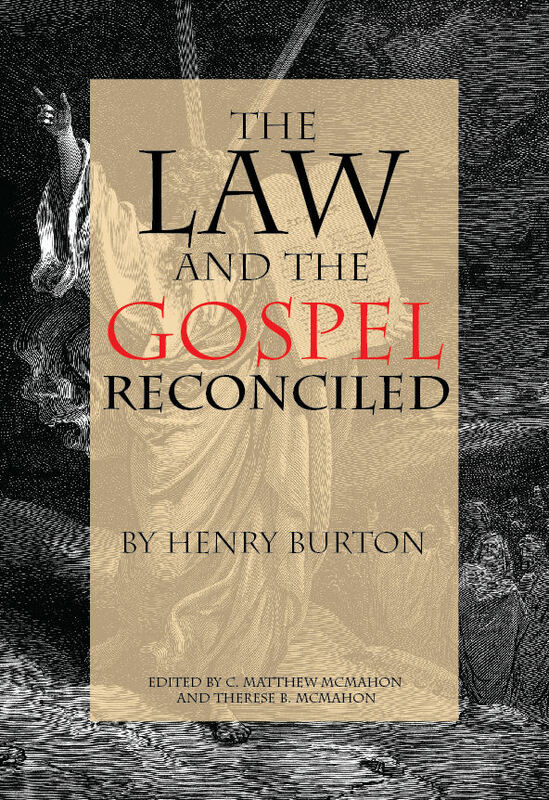 Mr. Burton also published his Trial of Private Devotions, and his Refutation of divers Arminian and Popish Errors, which were both called in, and suppressed by the severity of Laud. We do not know how long Mr. Burton remained in jail for these works, under the bishop’s suspension. He was afterwards freed. But this was only the beginning of his suffering for the Gospel. He was set on preaching against error for the truth of the Gospel. He preached two sermons at his own church, in Friday Street, on the November 5, 1636, from Proverbs 24:21- 22. “My son, fear thou the Lord and the king, and meddle not with them that are given to change,” etc. In these sermons he exhibited the natural colors and late innovations in doctrine, worship, and ceremonies of the twisted church. He warned his people against being tainted with their antichristian leaven. Dr. Laud, now the archbishop of Canterbury, being apprised of the nature of these sermons, caused articles to be exhibited against Mr. Burton in the high commission court, and summoned him to answer them. On his appearance, he was charged with having spoken against turning communion tables into altars, against bowing to the altar, against setting up crucifixes, against saying the second service at the altar, and against prohibiting the afternoon sermon on the Lord’s Day. In addition, he was also charged with having said that, “…ministers could not preach the doctrines of free grace but at the risk of the severest censures; and that the ministers in Norfolk and Suffolk were suspended for their nonconformity to the rites and ceremonies, which bad been imposed on them contrary to the laws of the land.” These charges having been declared sedition by the court, Mr. Burton was required to answer, on his oath, and so become his own accuser; which he positively refused, and appealed to the king. His appeal, however, availed him nothing. Fifteen days after he was summoned by Laud’s authority to appear before a special court of commission, where, in his absence, he was suspended from his office and benefice, and a warrant issued out for his arrest. In this way he was oppressed on every side. So he formed a bold resolution of shutting himself up in his house. During this time he published his two objected sermons against them. The court took these sermons and redacted them so badly that they could scarcely be called his, and because Mr. Burton would not acknowledge it in this mutilated form, they proceeded against him nonetheless. Lord Keeper: Mr. Burton, What say you? Mr. Burton: My good lords, notwithstanding that we have labored to give your honors all possible satisfaction, it appears you are determined to censure us, and to take our cause pro confessio. What, my lords, have you to say against my book? I frankly acknowledge it is mine; I wrote it, but by no means with the intention of raising a commotion, for stirring up sedition in the country, as charged against me. I have delivered nothing in these sermons but what arose from my text, which was chosen to suit the day on which it was delivered, being the 5th of November; and I stand here ready to vindicate every sentence delivered on that occasion. Lord Keeper: Mr. Burton, I pray you do not stand upon naming texts of scripture at present; we did not send for you to preach, but to answer to those things that are objected against you. Burton: I have drawn up my answer with much pains and considerable expense; which answer was signed by my counsel’s hand, and received into this court agreeable to the rule and order thereof; so that I had no reason to expect that I should be thus called to a censure, but to a legal proceeding by bill and answer. Lord Keeper: Your answer was impertinent. Burton: The matter is truly astonishing, my lord. My answer was legally entered in the court, and I should like to know on what ground it was thrown out, and by what authority my defense against groundless charges, maliciously brought against me, was thus unjustly set aside. It was first approved, Why was it afterwards pronounced impertinent? And, being approved of, it was received into the court—Why was it afterwards rejected? Justice requires that I should be apprised of the cause of such preposterous procedure. Lord Finch: The judges did you a good turn to make it impertinent, for your answer was as libelous as your book. Lord Keeper: What say you, Mr. Burton? Are you guilty or not? Burton: My lord, I desire you to peruse the whole of my book, not a passage here and there, but throughout. Lord Keeper: Time is short, Mr. Burton. Are you guilty, or not guilty? What say you to that which has been read? Does it become a minister to deliver himself in such a railing and scandalous manner? Burton: It is highly becoming a minister of Christ to deliver the truths of his holy word. It is highly becoming a watchman to blow the trumpet of alarm when he sees the enemy approaching; and it well becomes the physician to prescribe bitter potions to his patient when mild ones are found utterly inefficient. Spiritually considered, a minister is the instructor, the watchman, and physician of his flock, and responsible for the faithful discharge of his duty in these various capacities. If, therefore, my sermons correspond with the word of God, and the ministerial duties therein prescribed, as I humbly presume, and I am ready to prove they do—Then what censure becomes necessary? Surely none. In these days of reviving superstition and increasing heresy, it were more becoming the dignitaries of the church to encourage the preachers of the gospel, than thus to harass and discourage them in the discharge of these important duties. With respect to my answer to your allegations, you have very unjustly blotted out every sentence that you considered available to my exculpation, and retained merely what you found less opposed to your tyrannical proceedings; and now you require me to relinquish all that bears against your intolerance, and recognize that alone which answers your own ends and purposes; but, be assured, my lord, before I will thus meanly desert either my cause or my conscience, I will sooner desert this mortal body of mine, and consign it to the arbitrary disposal of your lordships. Lord Keeper: This is a place where you ought to crave mercy and favor, Mr. Burton, and not stand on such bold terms. Burton: In which I have offended, in human frailty, I crave pardon, both of God and man; and I pray God, that in deciding on this case, you may so conduct yourselves as not to sin against your own souls. Prior to the execution of this barbarous sentence, Burton’s parishioners presented a petition to the king, subscribed by a great number of respectable individuals, earnestly entreating his majesty to pardon and liberate their beloved minister. It was presented by two of their number, who were instantly imprisoned for their officiousness. The sentence of court was executed on these three men on June 30th, with evident marks of unfeeling brutality; the hangman, sawed off the remainder of Prynne’s ears, rather than cutting them. On passing this unchristian sentence, archbishop Laud made a long and labored speech, with the design of vindicating himself from the charge of innovation, with which he was universally branded by the puritans. In this speech, which was addressed to the lords constituting the court, he says, “I can clearly and truly ever, as in the presence of God, that I have done nothing as a prelate, but with a single heart, and with a sincere intention for the good government and honor of the church, and also for the maintenance of the orthodox truth and religion of Christ, professed, established, and maintained in this church of England…I heartily thank you all for your just and honorable censure upon these men, and your unanimous dislike to them.” These suffering individuals were charged with writing seditious libels, although their writings are wholly directed against popery and the prelatical leaders who were aiming at its restoration. When taken from the pillory, he was again brought on the scaffold, where the executioner cut off his ears in a very coarse and barbarous manner. They were cut so close to his head that the temporal artery was struck, and the blood gushed in torrents from the wounds. This sight awakened the sensibility and indignation of an immense crowd of spectators who cried out against it. While his blood was streaming in every direction, Mr. Burton manifested the greatest coolness and composure, saying, “Blessed be God, it is well; be content, my soul, and suffer all with patience. Pain is the harbinger of pleasure; and sorrow, like the night, precedes the joys of morning; all shall yet be well.” Mr. Prynne and Dr. Bastwick had this bloody part of their sentences executed at the same time and place. The day preceding this execution, it was decreed, in the starchamber, that Henry Burton shall be carried to Lancaster castle, William Prynne to Carnarvon castle, and John Bastwick to Launceston castle, and there suffer perpetual imprisonment, without being allowed any use of pen, ink, or paper, or any other book but the bible, the book of common prayer, and certain other books of devotion agreeable to the form of the church of England; and that no person have access to them. In consequence of this order, Dr. Bastwick was taken from the Gatehouse on July 26th; the day following Mr. Prynne was taken from the Tower; and, on the next day, Mr. Burton from the Fleet—and, with their sores not yet cured, conveyed to their several places of confinement. As they passed out of the city, vast multitudes of people came forth in other wordsness their departure, and take their last and sorrowful farewell, over 100,000. His wife, attending him in a carriage, had great sums of money thrown to her as she passed along. Burton was accordingly removed from Lancaster castle to castle Cornet, in the island of Guernsey, where he arrived on the 15th December 1637. He was shut up in a low narrow dark room, and almost suffocated for want of air, and no person permitted to see or speak with him. The three remained in remote islands until the year 1640. During this period Mrs. Bastwick and Mrs. Burton had often petitioned his majesty and the lords of council for liberty to visit them, or to live on the islands, or even to be close confined along with them; but, by the influence of Laud, their petitions were always rejected. On the 20th April, the House of Commons voted, that Mr. Burton should receive six thousand pounds for the damages he had sustained; but the confusion of the times prevented him from receiving the money. On June 8th, by an order of the house, he was restored to his former ministry and benefice in Friday Street. Bastwick and Mr. Prynne had similar resolutions passed in their favor. On Mr. Burton’s restoration, he formed a church after the model of the Independents, and it appears he had greatly prospered in his ministry. He is said to have been a severe disciplinarian, who prohibited all immoral characters from communicating; but toward the close of his life, he became more moderate. He died in January 1647, aged sixty-eight years. [Taken in part from NDB, Brooke’s Lives of the Puritans, and Smith’s Select Memoirs].